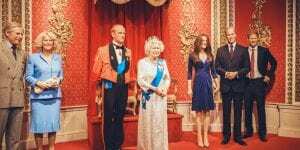 The world-famous wax museum is located on Marylebone Road in central London. It houses impressive wax statues of some of the most famous people in the world including sports stars, fashion icons, world leaders, pop stars, film characters and much more. It’s a popular museum for all ages. Get close to your favourite stars.